In the heyday of my youth, I spent a lot of my time watching anime. As I got older, I sort of lost interest in the entire genre, aside from a few shows that I considered to be classics. I sat down one humdrum Sunday afternoon with my Hulu plus subscription and decided to get into the show. The praise that my friends had lauded on the series soon made a lot of sense to me. 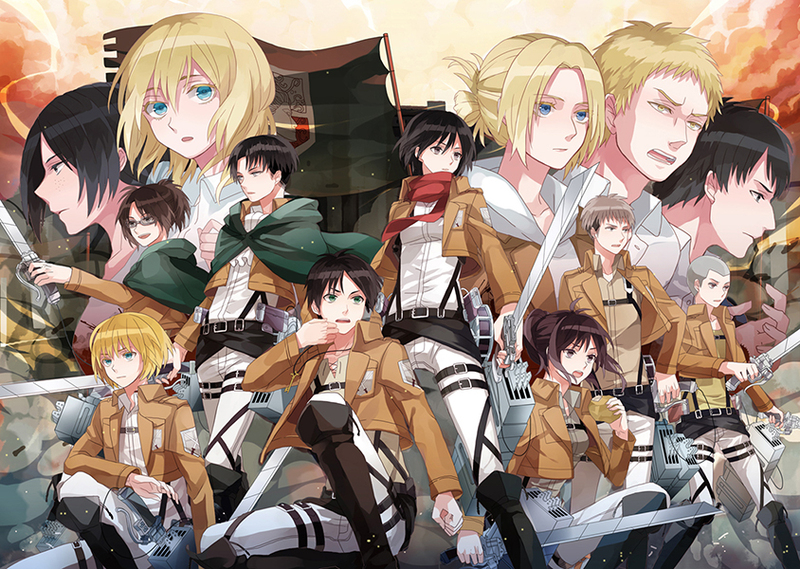 “Attack on Titan” has served as a strong reminder of all the reasons I ever loved anime in the first place. “Attack on Titan,” created by the directors of the animanga classic “Death Note,” tells the story of an Earth where humanity has been forced to live in massive cities behind huge, fortified walls to protect them from what lurks in the world beyond. Outside the walls are giant, man-eating monsters known as titans, who freely roam the land. The show is a bit more gory than most anime I’ve watched, but that’s because I tend to stay away from most things in the horror genre. Parts of “Attack on Titan” are truly frightening, at least for someone as weak-willed as I am. However, the scary parts of the show haven’t deterred me from watching and I don’t think they will anytime soon. “Attack on Titan” showcases beautiful animation (as you might expect) but also features a storyline that is as compelling and engaging as it is brutal. While the show isn’t really a feel-good experience, it is extremely exciting to watch. “Attack on Titan” is available on Hulu in two formats; one that is subtitled and another that has an English dub over the voices. I prefer the subtitled version, but I suppose the dub might be a better choice for those who aren’t interested in reading subs. If you’re a tried and true anime-viewing veteran or just getting into the genre, I recommend “Attack on Titan” — especially if you’re interested in a show that is action-packed, well animated and extremely well written.